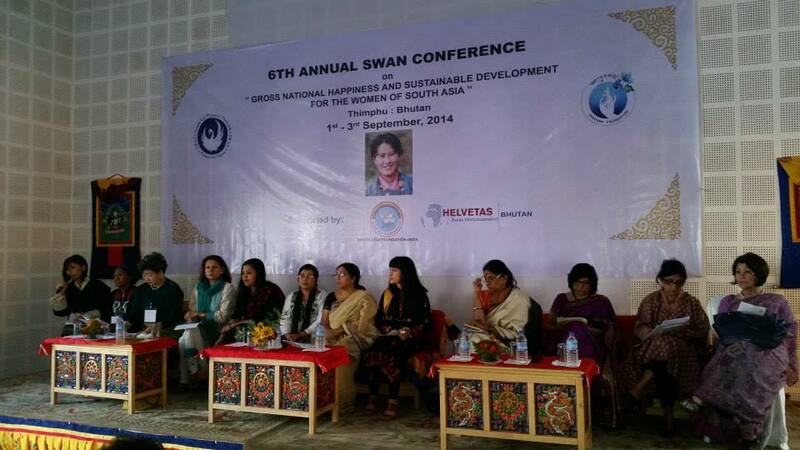 SWAN’s Sixth Annual Conference, held in Thimphu (Bhutan) on 2-3 September 2014, marks a new phase in SWAN’s activities. SWAN has now moved to the stage of implementation, through ground level activities (projects and programmes), targeting the achievement of sustainable development for the women of South Asia. 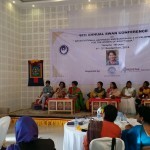 At its Fifth Annual Conference in Colombo (Sri Lanka) in August 2013, SWAN had agreed upon its Roadmap for Sustainable Development for the Women of South Asia. 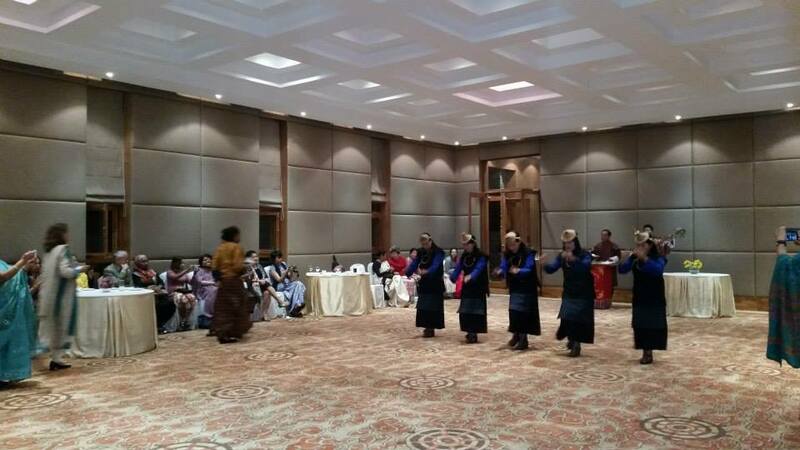 In Thimphu, at its Sixth Annual Conference, SWAN has set in motion the first steps towards the implementation of this Roadmap. 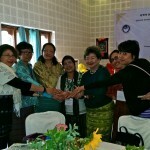 (i) The theme of SWAN’s Sixth Annual Conference was “Gross National Happiness (GNH) and Sustainable Development for the Women of South Asia”. 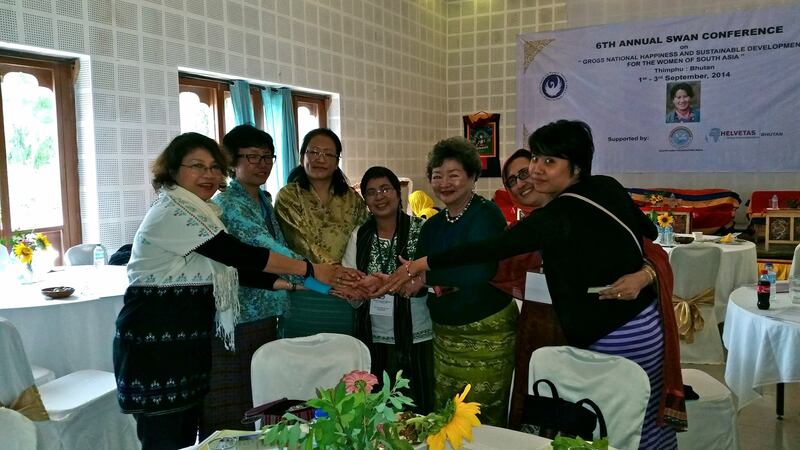 SWAN strongly welcomes the important new concept of Gross Regional Happiness proposed in Thimphu by Her Majesty Queen Mother Dorji Wangmo Wangchuck. Gross Regional Happiness with its focus on regional cooperation and learning from each other by sharing best practices is the way of the future for South Asia. SWAN agrees to bring the achievement of Gross Regional Happiness into all its projects and activities. 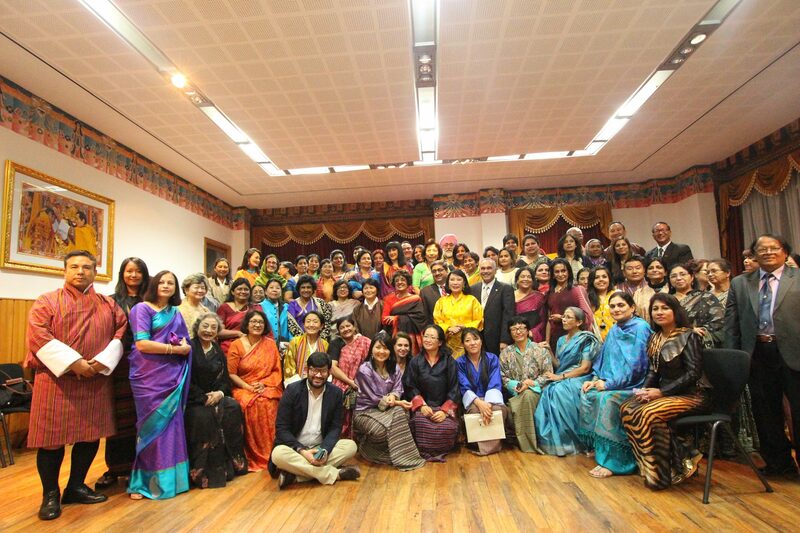 (ii) Launch of the UNESCO-SWAN Initiative on “Women for Change: Building a Gendered Media” : SWAN has a dynamic and interactive regional media network, which brings together media representatives from all nine SWAN nations. The SWAN media network has had several successes in bringing to the forefront of media attention gender-sensitive issues in one or the other SWAN nations, depending upon the concern expressed by the SWAN media person from that nation itself. UNESCO, on its part, has developed a wide range of tools for promoting gender equality and gender sensitivity in the media. These include UNESCO’S Gender Sensitive Indicators for Media (to gauge gender sensitivity in media operations and content); the Guidelines on Gender Neutral Language; a study titled Getting the Balance Right: Gender Equality in Journalism; a toolkit on Gender in Media; and a training manual titled Gender Sensitivity that seeks to sensitize education managers, curriculum or material developers and media professionals regarding gender concerns. UNESCO and SWAN have agreed to bring together their respective strengths in order to build a gendered media. In order to address the vulnerability of women journalists in South Asia and strengthen the gender sensitivity of the South Asian media, UNESCO and SWAN launched an initiative that will : (a) Strengthening the capacity of women journalists to mainstream gender in reporting; (b) Sensitize editors and gatekeepers about the importance of gender-sensitive reporting; (c) Strengthen the network of women journalists across South Asia in order to facilitate the sharing of good practices, country cases, journalistic experiences, and knowledge products, and to monitor trends related to women in the media, develop strategies for mainstreaming gender in the media, and conduct advocacy on related themes. (iii) Project Initiated on “Changing Mindsets : Through Education and Lifelong Learning, Democratic and Inclusive Good Governance, including Elimination of Violence Against the Women of South Asia” : Women’s participation in governance has so far been very limited across South Asia. The countries of South Asia have led the world in providing women Prime Ministers and Presidents, yet the women of this region lag behind most regions of the world in terms of women’s empowerment and substantive gender equality. Essentially, the firmly entrenched patriarchal mind-set and patriarchal system has ensured women’s subordinate role within family and society. This has exposed women to violence in its worst forms, has seriously reduced access of the girl child to educational facilities, and of mothers to healthcare including maternal health-care. Even when women are involved in creative and productive activities like weaving and crafts, their disempowered status reduces their bargaining power and their ability to derive adequate financial returns or remuneration for their efforts. 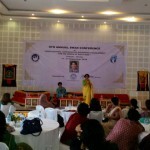 The patriarchal mind-set and hierarchy has ensured that most government policies have been gender-blind in their formulation and implementation, failing to recognise, leave alone give due importance to the specific needs of women in order to help them overcome their disadvantaged position in society. This in turn has further strengthened patriarchal norms and has denied to most women any substantial or substantive benefit from the process of economic development across and within the nations of South Asia. (c) Education and Lifelong Learning for the Women of South Asia, with the special focus on eliminating violence against women and building peace : The objective is to influence the education systems in South Asian countries so that they contribute to gender equality and women’s empowerment. The required mind-set change is possible through continuing life-long education for all, starting from elementary school, or even before in the home setting, to instill a gender-neutral value system within the family unit to begin with. Support for such initiatives along with democratic good governance that responds equally and equitably to the needs of women, men, and children, is necessary to improve the lives of women in South Asia, and to protect them from physical and psychological violence. (d) Culture and Sustainable Development : Cultural diversity is a reality. It holds the key to releasing creative energies of individuals and groups in society. The strongest bond among the nations of South Asia is the unity of their civilizational and religious heritage, within which lies the tremendous cultural, linguistic, and pluralistic diversity of each nation, and within each nation, of the different regions and ethnicities. Unity in diversity is the real strength of South Asia. Individually and collectively, the nations of South Asia need better policies to make the most of this reality. Culture should inform national, regional and global strategies for development. Equally, development strategies must be sensitive to cultural specificities of peoples of nations and regions, in order to gain their full support, participation, and ownership. 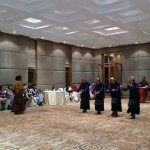 SWAN emphasizes that governments across South Asia should give culture a higher profile in strategies for development. Women, as the sustainers of traditional knowledge and preservers of heritage, should play a central role in this process. (iv) Eco-Tourism for Sustainable Development and Gender Empowerment in South Asia : Tourism is the major revenue generator for all countries of this region. SWAN recognises that conventional mass tourism must become more responsible in order to be sustainable. Tourism activities should not destroy either the environment or local traditions and indigenous knowledge, nor should it exclude local communities. In all these aspects Eco-Tourism is showing the way forward by being inclusive and strengthening rural communities. Eco-Tourism is essential for sustainable development of regions and people. 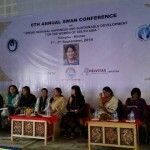 SWAN urges that it is crucial to integrate women into the process of sustainable eco-tourism development. In rural communities, women play a central role in crafts and textiles, waste management, arts and music, cuisine and hospitality, preservation of the environment and culture, and inculcating traditional values in the next generation. All these are core values for the development of eco-tourism. In making local communities, beneficiaries, even stake holders in eco-tourism projects the aspect of gender empowerment for the women in these communities should be given the highest priority. Eco-tourism should become part and parcel of skills, livelihood and sustainable development programs for the women of South Asia. SWAN, ESOI (Ecotourism Society of India) and ICIMOD will explore collaboration and partnership for implementation of eco-tourism pilot projects in each SWAN nation, together with allied services and value-chain development which focus on youth and women. (v) Strengthening Women’s Role in Peacemaking and Conflict Resolution Processes in South Asia, & The South Asia Women’s Peace Charter : Peace and sustainable development are closely interlinked. Peace is not just absence of war. Internal conflicts threaten societies from within and prevent peaceful economic development and growth. UN Security Council Resolutions, 1325 (2000), 1820 (2008), 1888 (2009), 1889 (2009), and 1890 (2009), highlight women’s role as central in conflict-prevention, and when conflicts occur, to the process of peace-building and conflict resolution. Women are inherently the anchors of family and community, and a force for tolerance and peace, supporting co-existence across cultures, religions, and ethnicities. As such they can play a key role in re-establishing the fabric of recovering societies, and therefore, must be involved in the development and implementation of post-conflict strategies in order to ensure inclusion of their perspectives and needs. 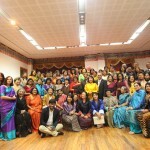 SWAN proposes a Workshop on Strengthening Women’s Role in Peacemaking and Conflict Resolution across South Asia. 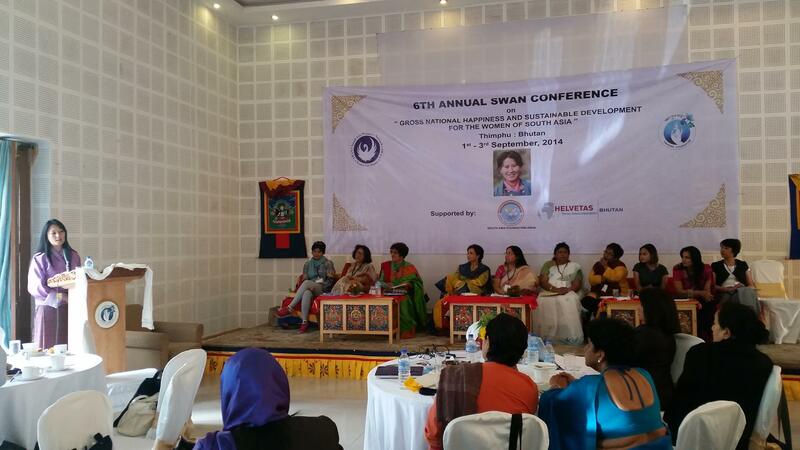 Towards this end, SWAN has already initiated discussions on the South Asia Women’s Peace Charter. This Workshop will analyze the particular needs of women and children in pre-conflict, conflict and post-conflict situations, the challenges they face, and how to overcome these challenges. Through this Workshop, SWAN aims to raise awareness about the negative impact of conflict on women, to build consensus among stakeholders on adopting non-violence as the methodology of choice for all situations, and to support the role of women as peace leaders through appropriate capacity-building for representation in all mechanisms and institutions of governance. (vi) Skills, Livelihood and Entrepreneurship Development, with Financial Access, for the Women of South Asia, including in Crafts and Textiles : Women in South Asia, a predominantly agricultural and tradition-bound region, participate in economic activities and contribute their labour actively. However, due to the nature of their work, which most of the time is intertwined with household activities, this often goes unnoticed, unpaid, and unaccounted for as part of the nation’s GDP. A significant proportion of these economically active women are fine crafts people who are skilled as part of their traditional customary social context. Their craftwork represents the eternal struggle of people forming the base of the socio economic pyramid for their rightful place in society. They struggle to hold their place against the mass growth of mechanized production methods, which are making inroads in the marketplace to the detriment of handicrafts and hand-woven textiles. SWAN agrees to launch a Skills and Livelihood Initiative, with the objective of catalysing women-led skill sets into viable enterprises. In its first phase, SWAN’s Skills and Livelihood Initiative aims to empower 300 women entrepreneurs (across South Asai) to leverage their crafts-based skills into profitable enterprises. This Initiative would identify prominent crafts from each country (textile and paper to begin with) and facilitate enterprise development around these crafts. The enterprise development initiative will look at each aspect of the enterprise including skill enhancement, product design, marketing channels and credit channels. 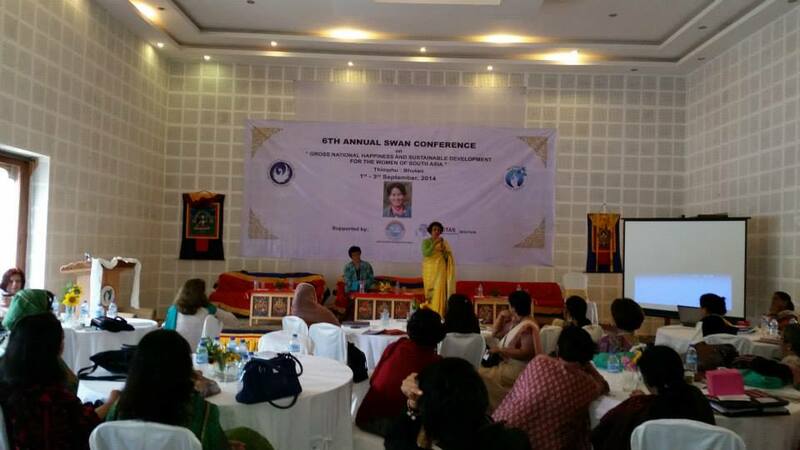 (vii) Health, Nutrition and Bio-Safety for the Women of South Asia, including Waste Management : SWAN discussed the complex range of inter-related issues that adversely affect the health and well-being of women and children in South Asia. This includes the importance of organic farming (non-use of genetically modified seeds, chemical pesticides and chemical fertilizers) for ensuring food sovereignty and nutrition security for all; protection of intellectual property rights and prevention of bio-piracy for indigenous crops and traditional knowledge in medicine and allied fields; highlighting the adverse health impact, particularly on maternal health, of environmental pollution caused by industrial projects and use of toxic materials in every-day use consumer products, and calling for extended producer responsibility; specific policies and measures to tackle the serious impact of communicable and non-communicable diseases; the importance of access to safe and adequate drinking water, sanitation and hygiene facilities; the need for sustainable energy for all; and the urgency of sustainable materials use in order to ensure waste management policies that are viable and use indigenous technologies rather than expensive imported technologies. Partner institutions in each of the SWAN nations are preparing to involve the SWAN network in their respective activities so that best practices can be shared and implemented in the most efficacious and cost-effective manner.